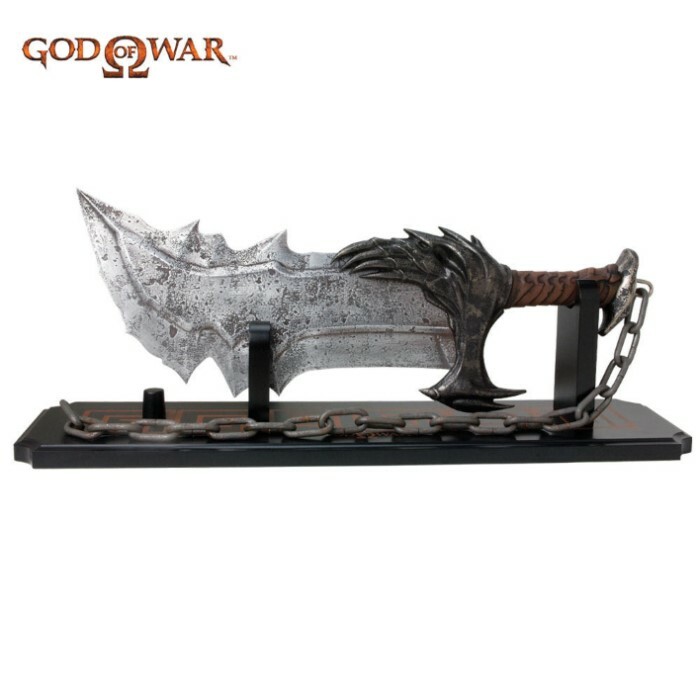 God of War Kratos Blade of Chaos | BUDK.com - Knives & Swords At The Lowest Prices! This authentically detailed sword is an exact replica of the pair wielded by Kratos in Sony Studios hit video game series “The God of War” United Cutlery, the industry leader in movie and game collectible replicas, has meticulously re-created the sword. The blade is cast from zinc aluminum material with custom etched mold textures and features fantasy grindings that mirror the piece carried by Kratos. Just been confirmed that this BEAUTIFUL piece of work has been shipped & is on its way to my place. I am so eager to get this!! I LOVE the GOW series and wanted this the moment I seen it lol. I'm glad my birthday is tomorrow & that I get to have it. "Zeus! Your son has returned...I bring the destruction of Olympus!!" got it! it does not disappoint! excellent birthday gift! I got 2 of these earlier today and they are so bad***. The blade is a perfect size and the chain has a little hook on the end of it so you can wrap it around your arm. It is a little on the heavy side and the blade isn't sharp at all but that's to be expected since it is a display item. But this is defiantly a must get for all GOW fans. Editor's Note: Thank you for your comments. We have updated the review to reflect the appropriate spelling. Very cool to see this finally come to the market! It's too bad it's not the fully upgraded version (wow, I'm a nerd) and it's unfortunate it's only one blade!! Why is this not two to a set?? Very cool nonetheless. 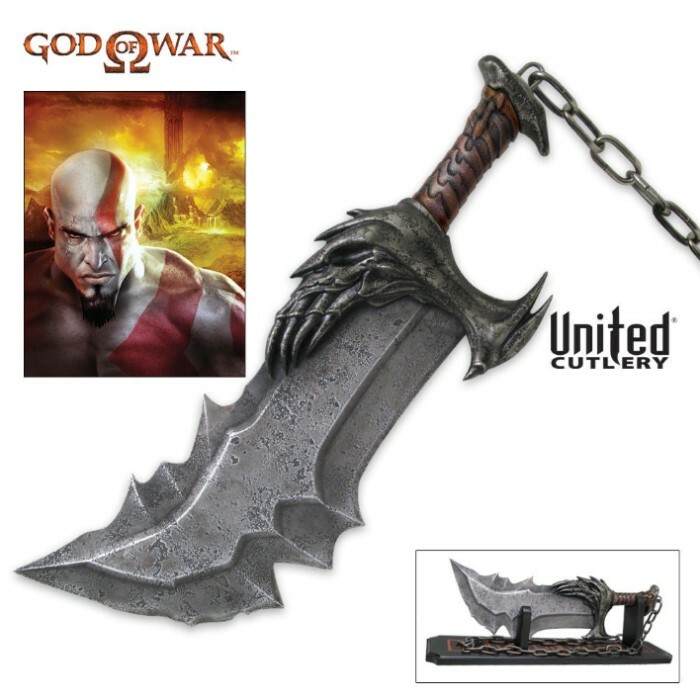 "i gotta have this blade and i dont even collect knives but i love god of war.im gettin that blade and im tellin everyone to bring it on baby"" lol"""
I didnï¿½t get it yet but the fact that it is god of war means its gunna be bad a**.